I’m hoping to do more of these sketches this year. 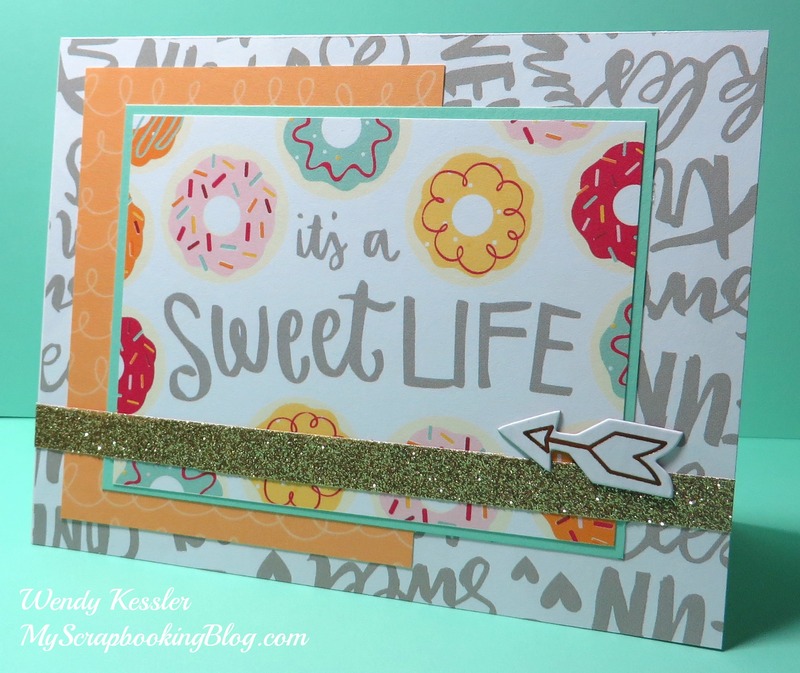 Supplies used are all Close to My Heart: Sugar Rush Paper Packet, Sugar Rush Complements, Sea Glass Cardstock, and Gold Shimmer Trim. Freshly Made Sketches 268 I missed the deadline on getting this one posted but at least I got it done. Here’s another, just changing up the embellishment colors.